OPUS is a unique, next generation, Test Automation Enabler, which eliminates design and development from the test automation process. OPUS is a cross-platform, domain-agnostic, interoperable product which can successfully be used across distributed networks and applications, at times unattended, that can transform your test automation process. When an application has to be put through a testing environment with about 500 test cases, the best possible option is to plug in an automated testing tool and sit back, right? Wrong. 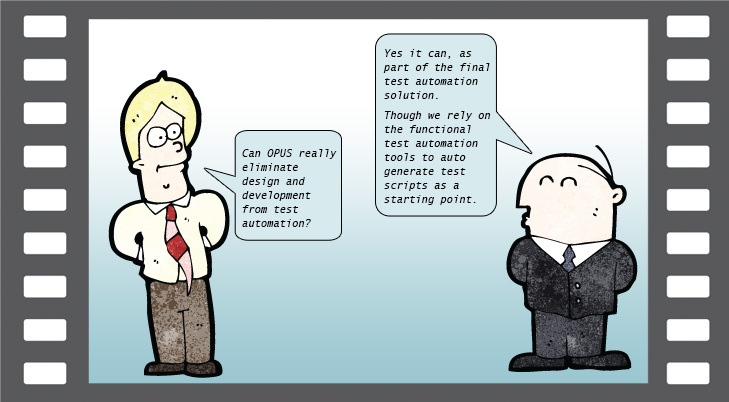 Automated testing is not automatic testing. Automated testing tools require manual intervention to a considerable extent. The most critical aspect of automated testing, which is to validate the application under various test conditions as defined by its test requirements, requires a structured and sustainable approach to the testing process. Inefficiencies in the testing process (or the lack of one) increase the time to market, and most importantly, drive up the cost of resources, testing and development. Automated testing gets smart and intelligent with OPUS. For an OPUS based solution to work it needs an industry standard test automation tool which it drives to perform all the validations and verification on the application under test. Industry best practices would dictate that a quality management system (like Net Magnus CTP) is used as a central repository for test asset management. 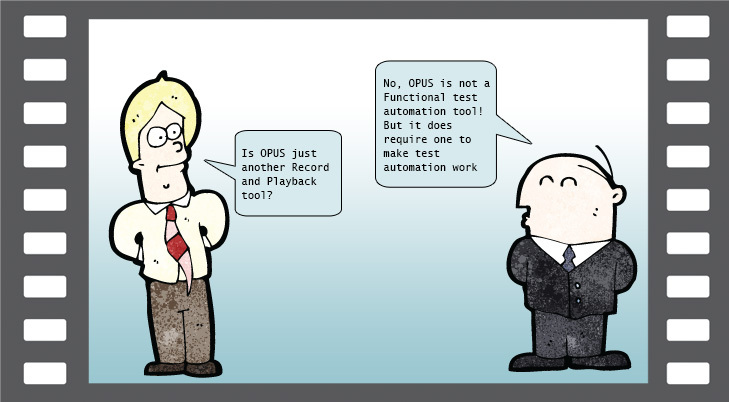 What is the difference between a test solution that uses OPUS and one that doesn’t? OPUS controls the test automation tool to perform the testing on the application under test from within the test environment, and seamlessly integrates with the QMS, in a process driven and structured manner. The framework of this solution is sustainable, measurable, and domain/platform/test automation tool agnostic. OPUS is not mandatory in any test automation solution, but introducing it increases the probability of success in an industry that is still facing high failure rates on sustainable solutions.